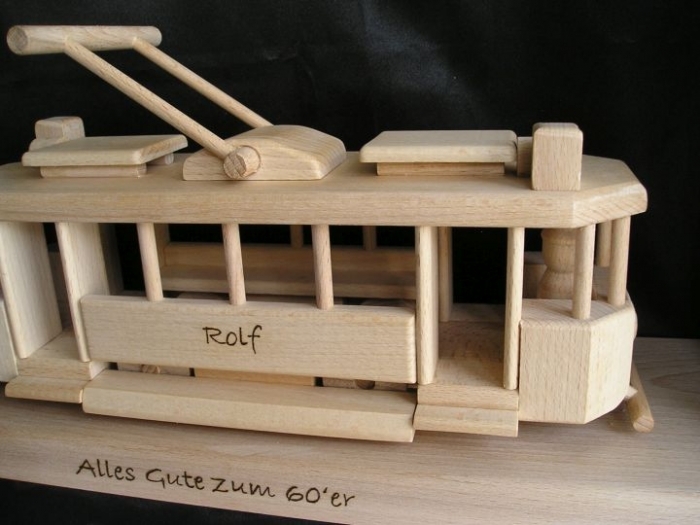 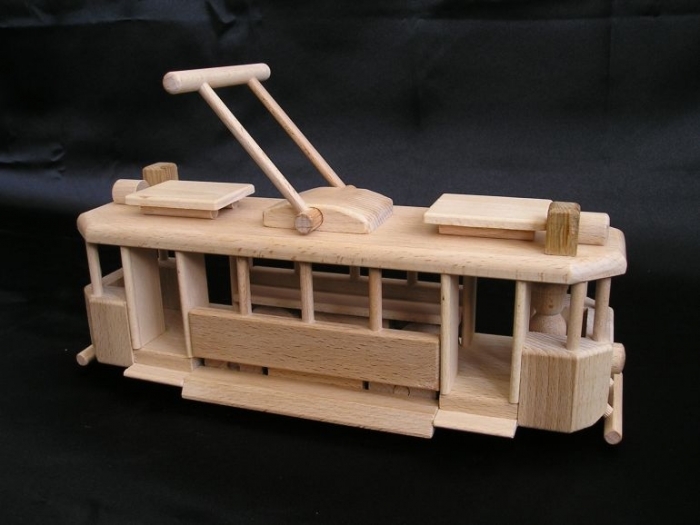 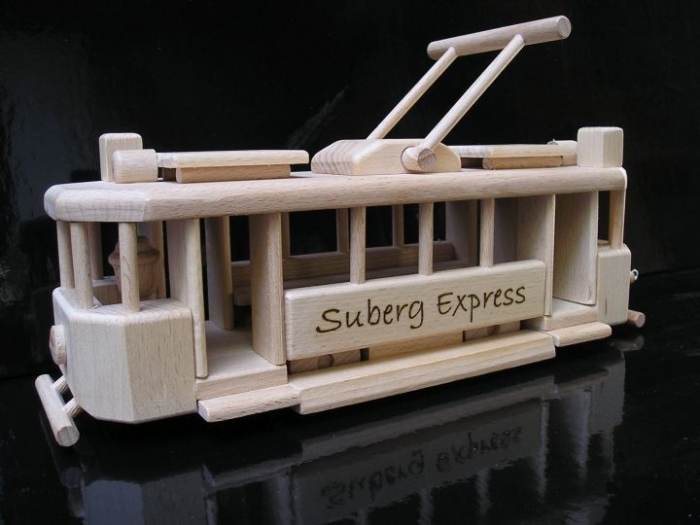 Mobile vehicle with moving parts such as wheels and trolleys.size 350x102x115 mm. 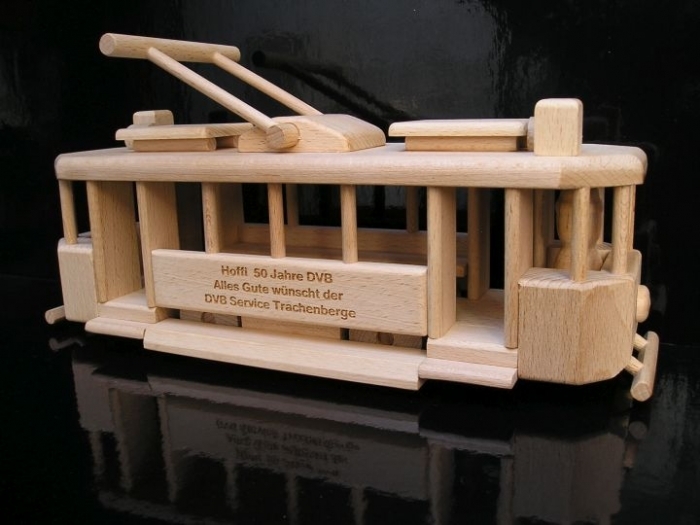 Big wonderfull panorama gift box size 400x140x150 mm. 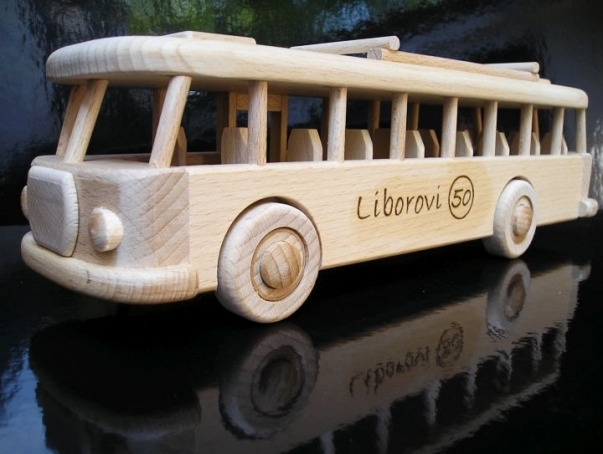 Full mobile great toy/modell Excellent and impact resistant certified wooden toy made in the EU. 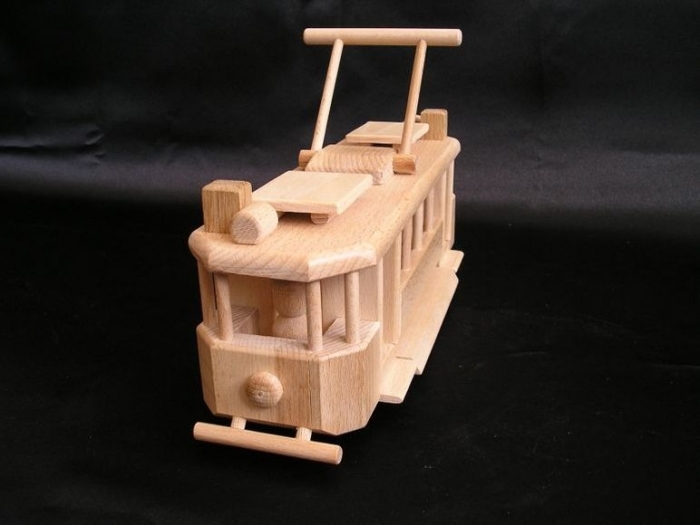 Very nicely done.Surface of toys is not colored, but waxed for children safety - EKO toy. 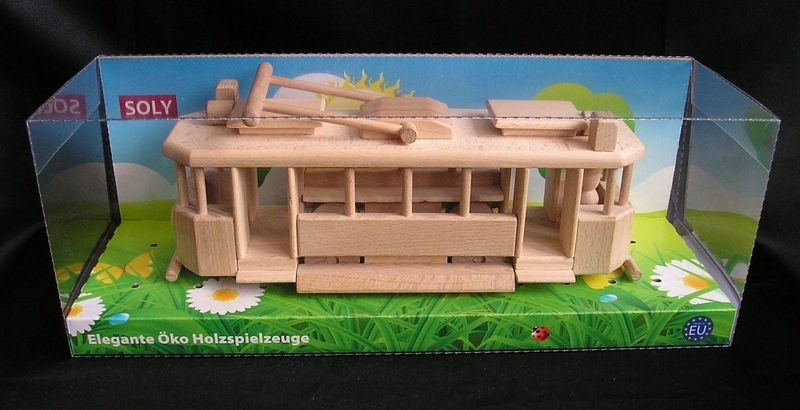 The toy is pleasant to the touch and smells of the forest. 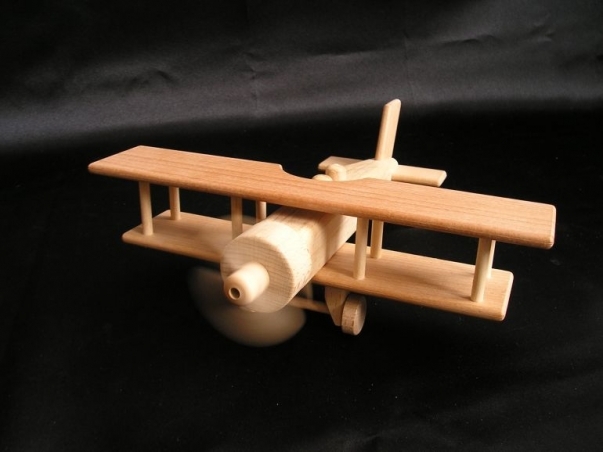 Civil wooden Helicopter kinder toy.